Im using ryzen3 and i would like to ask how to enable amdv? Not sure if theres other term, Im new with this cpu. I enabled sdm under mit>advance cpu like most of the comments, but when i try to enable the “intelv/amdv” option on my vmware it is greyout means Virtualization is not enable. searching1, I assume you are talking about SVM (Secure Virtual Machine). Please open your UEFI - Advanced - Processor Settings and enable SVM. I have an ASRock MB and use it to run Hyper-V. Your names may be a little different. If you have more questions, please post your system specifications. Enjoy, John. Mistyped SVM, I have enabled SVM (Under MIT tab, then Advanced Frequency Settings and then Advanced Core settings). But still on my vmware workstation "IntelV/amdV checkbox option is greyout. searching1, that sounds like the correct settings, but you gave no more information on your system. If you are running W10, then I suggest you try Hyper-V. It has been some time since I used VMware but at the time it had a utility that examined these settings and let you know what was needed. If you are not running W10, I probably cannot help, since I know almost nothing about Linux. Check your task manager, as above. Enjoy, John. EDIT: I suggest you post on the VMware forums. Heres what im currently using. Tom, I'll check it on OS side and update here. searching1, I do not know what this means: "Tom, I'll check it on OS side and update here." Can you boot W10? I checked the manual and it looks like you set the correct setting in the BIOS. I assume you did a Save and Exit. You might try a "Load Optimized Defaults" in the BIOS. SVM is supposed to be the default. Perhaps a Linux person can tell tell you how to inquire the SVM setting in Linux. Enjoy, john. What GPU card do you have installed? Here is the AMD Linux drivers Ubuntu using a AMD GPU Card: AMDGPU-Pro 17.40 Driver for Linux® . 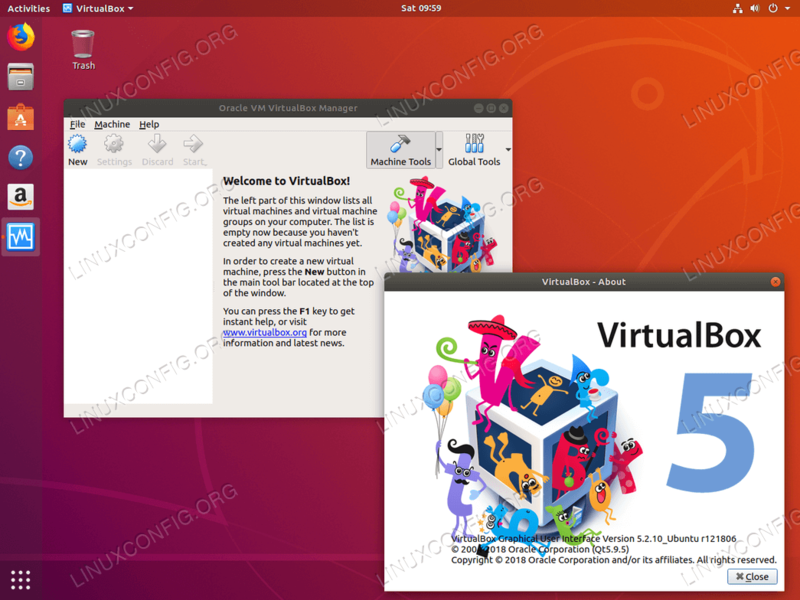 Found this thread on how to enable or install Visualization feature on Ubuntu Linux OS: Ubuntu Installation · bemoss/BEMOSS3.5 Wiki · GitHub . Virtualization software creates a virtual version of something. This can be, for example, a virtual computer hardware, storage device or a computer network resource. Two of the most known virtualization software are VirtualBox and VMware Workstation.